The Navajo Nation is one of the largest Southwest Native American tribes and is world-renown for their silver and turquoise jewelry. 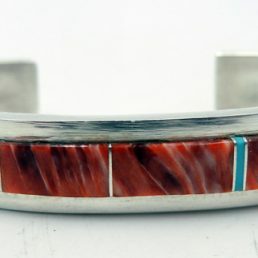 Navajo Indian jewelry is often characterized by chunky stones set in simple sterling silver bezels. 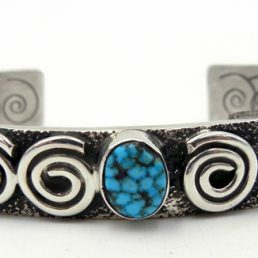 The most popular stone among Navajo Indian artists is turquoise, which represents well-being and carries religious significance. 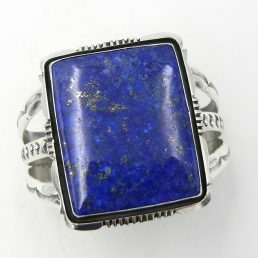 However, other gemstones like spiny oyster and coral are also featured in Navajo Indian jewelry. 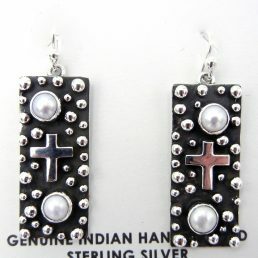 Some Navajo Indian jewelry is purely sterling silver without stones. These pieces are generally hand-stamped or sandcast, although the Hopi Indian influence is evident in pieces that use the overlay technique to add depth. Some artists use oxidized silver to accent a design by amplifying depth while others brush their pieces to give them a vintage look. 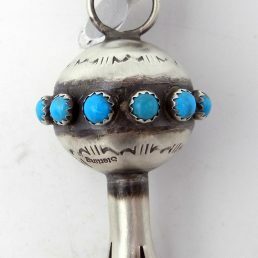 Silver-smithing was first introduced to the Navajos by the Spaniards in the seventeenth century. The varied styles of some of the most prominent Navajo Indian jewelry artists reflect the mastery of techniques refined over hundreds of years and the influence of neighboring cultures. 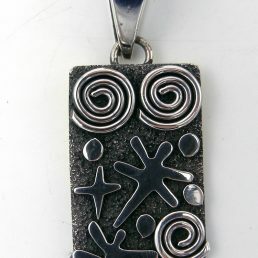 Alex Sanchez’s “signature” is his petroglyph designs. 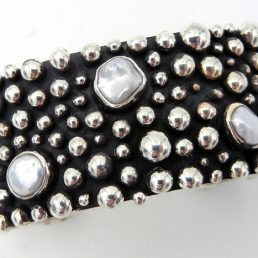 His designs are often accented by an oxidized silver background, giving the pieces added depth. Sanchez predominantly uses turquoise in his jewelry, often in an asymmetrical, yet balanced placement. Peterson Johnson is a self-taught jewelry artist. His jewelry is characterized by his signature leaf and flower design, often a flourish beside a large stone. 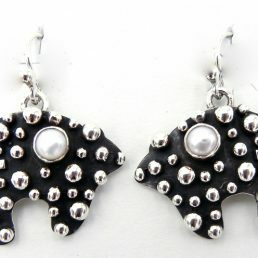 Palms Trading Company buys jewelry directly from Navajo artists. 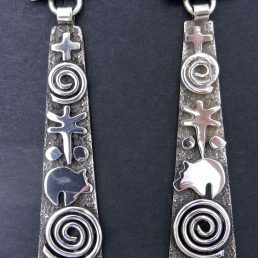 Because there’s no middleman distributor, we’re able to offer our collection of Navajo Indian silver jewelry at low prices—50% below suggested retail. 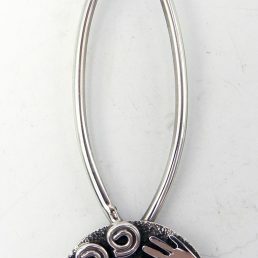 All Navajo Indian jewelry available on www.palmstrading.com is already marked at the wholesale price. If you would like to see more of our Navajo Indian silver jewelry collection but can’t get to our store, contact us for help from our personal shopper service.